Photo courtesy of H. Oliphant, Edgewood, Tx. 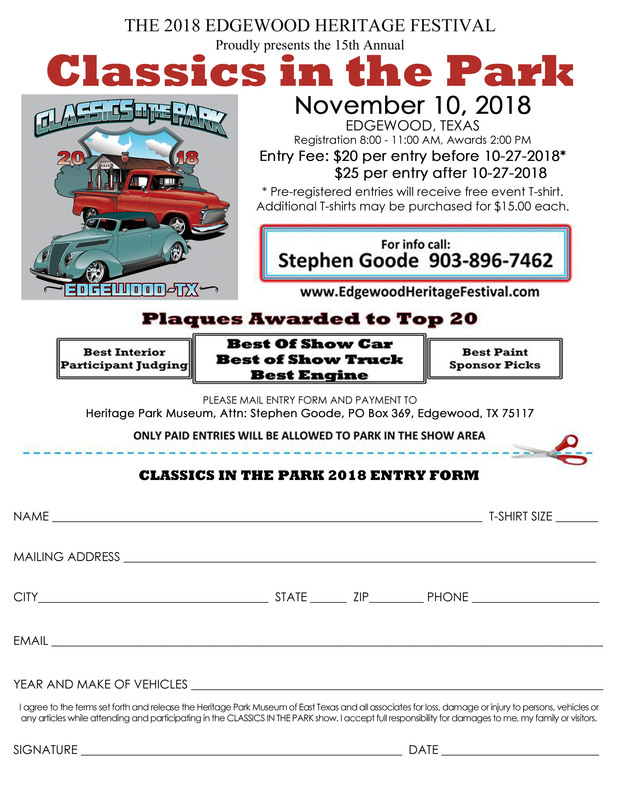 The Edgewood Heritage Festival will host the 15th Annual Classics in the Park in November 10, 2018. Pre-registered entries will receive free event T-shirt. Additional T-shirts may be purchased for $15.00 each. Registration on the festival’s day opens at 8.00 – 11.00 a.m. Only paid entries will be allowed to park in the show area. 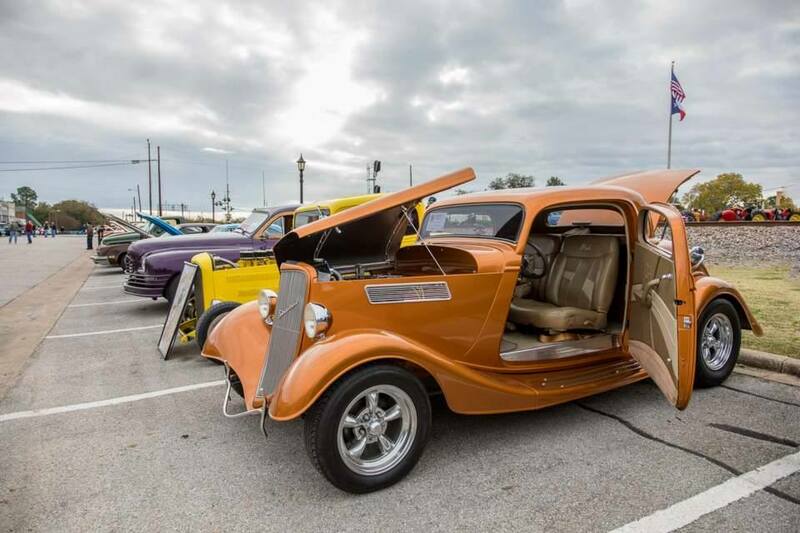 Awards presentation, including Rat Rod Champion and Mini Bike Drag Race winners announcement will be held at 2.00 p.m.
* Best of Show Car and Truck will be featured in the next car show’s T-shirt. 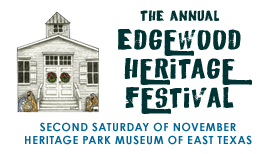 For more information, contact Stephen Goode at (903)-896-7462.